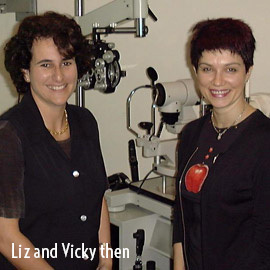 St. Kilda Eyecare began back in 1989 when, as young optometrists, we wanted to set up our own independent optometry practice. From the beginning, a focus on quality within a casual, laid back St Kilda environment was important. Our first location was a small store in the Woolworths Arcade. A relaxed premium level of service incorporating excellent clinical examinations and a choice of interesting, individual frame selection became important elements of our practice. We have always been at the forefront of contact lens developments, using the latest materials and designs, including astigmatic and multifocal correction. A move to the Acland Court development in 1999 enabled a larger range of frames and more comfort for our patients. After 25 wonderful years in practice, St Kilda Eyecare is proud of its current location situated at the entrance to Acland Court on bustling Acland Street. We continue to provide clinical examinations 6 days a week utilising the latest specialised diagnostic equipment. 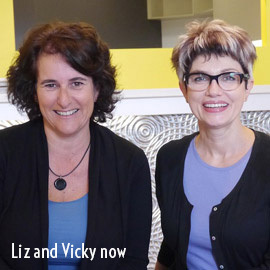 Our friendly staff take great pride in selecting the right frame to suit your personality and style. We look forward to assisting you .